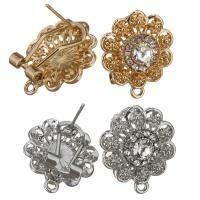 - This earring works with a lever in the back that opens and closes for comfortable jewelry wear. Think of the lever as a safety device that protects your earring from accidentally coming undone and falling out. 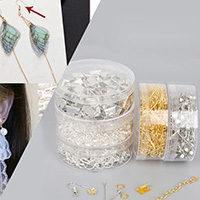 Use this lever back earring when you want to display your most precious designs without worrying about losing any components. 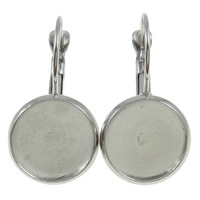 With a slight curvature, you will find that this earring is extremely comfortable to wear.